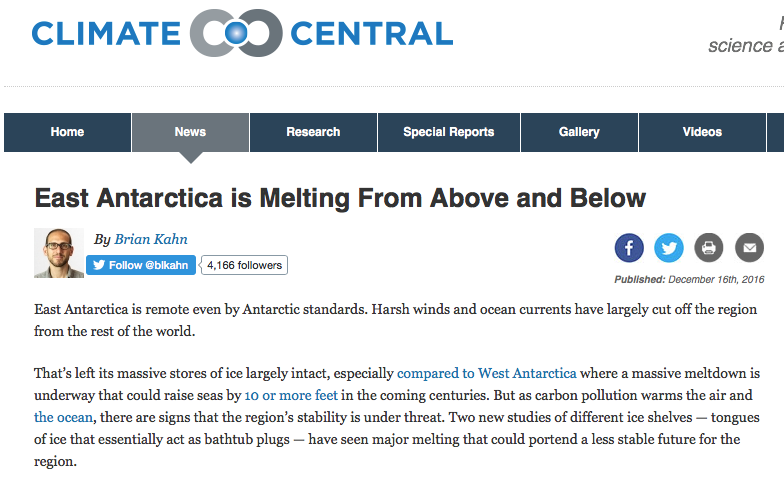 I’ve already had the pleasure of taking down one fake climate news article from Brian Kahn today, and he has returned for round two – claiming that Antarctica is heating up and melting down, due to “carbon pollution.” He says it could raise sea level ten feet. Only problem is, the article is fake news. NASA’s top climate expert said in 2004 that Antarctica had cooled significantly in recent decades. 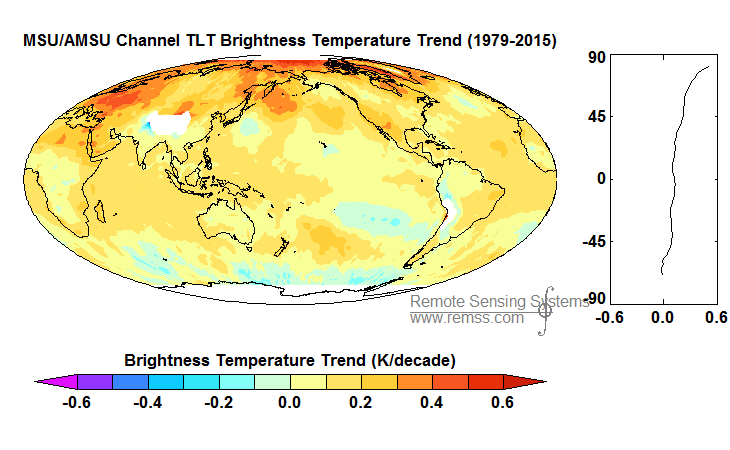 Satellites show that Antarctica has been cooling for almost 40 years. NASA says Antarctica is gaining ice. West Antarctica has been losing ice for centuries. 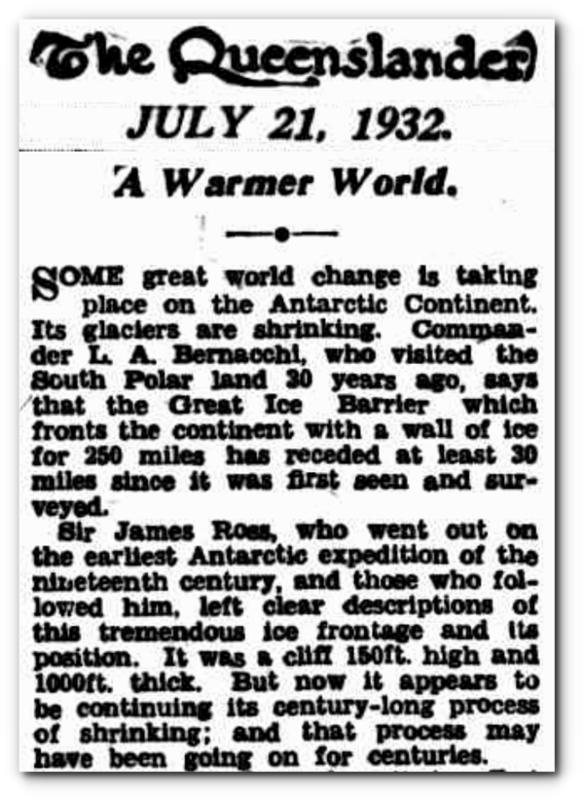 The Ross Ice Shelf retreated 30 miles before 1932. We’re seeing the west ice sheet on its way out. …. 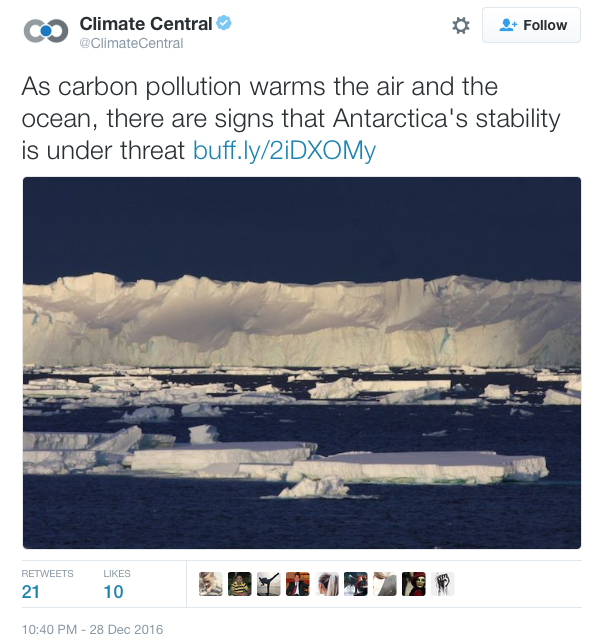 It has nothing to do with climate, just the dynamics of unstable ice. Experts warned of 20 feet of sea level rise. Brian Kahn propagates misinformation out of context, draws unsupportable conclusions from it, and boldly passes his nonsense on to the public. Fake news. If the comments on the previous thread that resulted from Drudge readers coming to this forum are any guide; Their fake news is not working. It seems that your efforts are paying off at an exponential rate now Tony. So glad you’ve stuck with it though all the times when it seemed your blog was just a tiny fluttering candle in the dark. The payoff is starting now it appears. We see the light at the end of the tunnel though it is still far off. Congrats are in order though obviously the fight will go on. 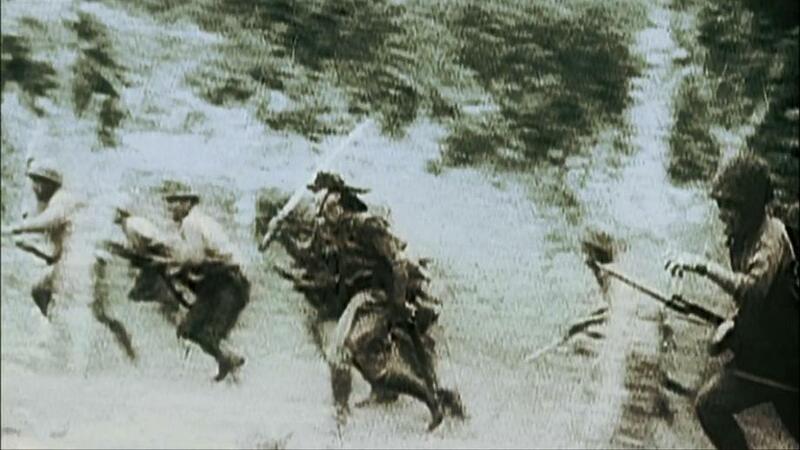 The other side has made it quite apparent to us now that they are very much like the forces of Nippon during WW II. We are seeing their equivalent of a banzai charge right now. There will be more waves coming. They will fight long after their cause is hopeless and never surrender until they’re destroyed. When ever I read crap like the Kahn story above I ask: Ok then where is the sea level rise? The rate of rise must be spiking if there is unprecedented melting of the terrestrial ice in Antarctica. So where is it? What islands have been submerged? And where are the “climate refugees” that such an event must produce. 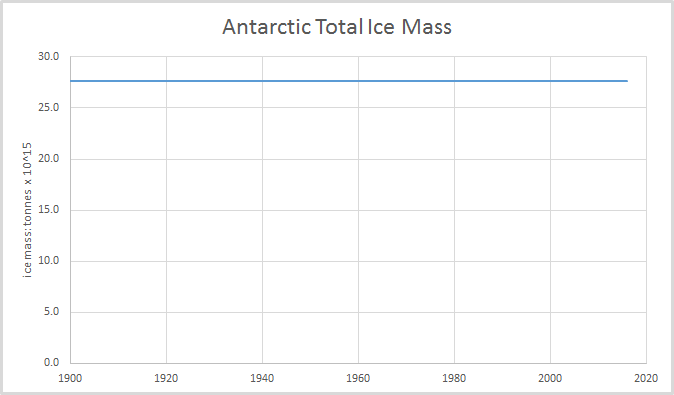 Here is a graph of the Antarctic Total Ice Mass since 1900. The losses and gains are so absolutely TINY in comparison to the total mass, that they would never show up on a zeroed vertical axis. Andy. I appreciate the graphs but I know they have their place. My comments are sometimes directed towards the larger mass of people that have not and will not develop the background in the basic science and terminology behind all of this. Hell, there is much I still don’t understand about the science and I’ve been reading the stuff for years now. My intent was to provide common sense questions such people should ask when confronted with such nonsense. They may not know or ever know or care what “mass balance” is but it only takes common sense to understand that if a massive amount of ice on land melts the water ends up in the oceans and thus must have an significant effect on sea levels. Inhabited islands being submerged resulting is evacuation is something that would show up in the general media if it happened. I guess your right. But it’s hard to decide which pic is scarier. Each is scary but in different ways. Alarmists love the Antarctic as it provides a rich feeding ground for alarming headlines without any context or likelihood of catastrophe whatsoever. But that’s fine as it’s the media headlines they seek to continue pushing their narrative. The current slew of pro-climate change articles is the inevitable push-back to Trump’s likely policies. These guys aren’t going to surrender their ill-gotten gains lightly so there’ll be plenty more of this to come. 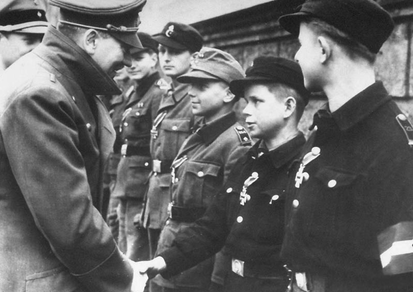 The take-down, if it comes, will be the greatest collective public humiliation of the Great and Good in human history, so yeah, there’s going to be resistance to that. It’s gonna get interesting! I don’t think it is a question of if the take-down is coming. It is more a question of how it will happen and magnitude of change. At the root of it all is the politicization of science and the root of that is government money for “research”. All the structural changes yo re-task and change funding of departments and agencies in the administration that team Trump may make in the Federal bureaucracy will not stamp out this beast unless the way federal funds to private universities for their research is radically changed. “yo” was to be “to”. Typo. And I take DOOR # # for Geothermal! Too bad Donkey-butts like Brian Kahn the Con, can’t do a two minute google search before mouthing off. Yeah, there have been a bunch of reports of geothermal heating under Antactica lately. You would think an expert on climate like Kahn would know all about it.